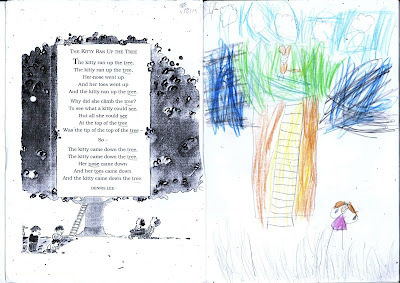 Learning Hubs 11 and 12: The Kitty Ran Up the Tree: A song/poem! 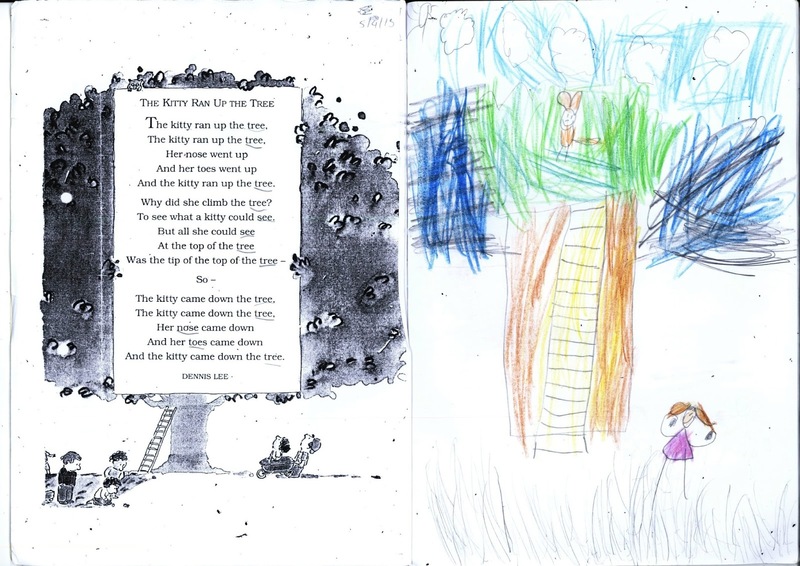 Last week Emily, Mina and Carys read a poem called The Kitty Ran Up the Tree. We made a connection that this poem matched the rhythm of a song from Alice in Wonderland. What do you think? Can you hear that same music? Nicolas loves Shuffling! Do you like dancing? We love Charlie and Lola!